I co-authored, alongside Danielle Tomson, Director of the Personal Democracy Forum, an op-ed in the Wall Street Journal, proposing the inclusion of the multistakeholder ethos of transparency, cooperation and user input, into the very complex issue of content moderation, as part of the conversation over the Alex Jones banning. Continue reading "Link: WSJ Op-Ed on “Content Moderation”"
The World Health Organization included “gaming disorder” in its June final draft release of the International Classification of Diseases (ICD-11). I wrote about it, and about why that’s not probably the best thing they could have done in my first blog post for the Diplo Foundation. Continue reading "Link: Diplo Blog Post on “Gaming Disorder”"
We’ve been doing it all wrong for years. The question is not “is a hotdog a sandwich”, rather “what is a hotdog”. And along with fellow dissertation-writing PhD Candidate Lisardo Bolaños, we have come up with the best way to answer that question, the #hotdogmatrix. Multistakeholder Internet governance institutions are not being properly studied. Research focuses primarily on structure, which has its own set of concerns and limitations, but it overlooks the human element, which may play a vital role in shaping these institutions. The human element, which encompasses the human actors and their networks, is potentially important because of both the way the institutions themselves function internally to promote and highlight individuals, and the effect these institutions have on the participants. While this may sound interesting, a straightforward question emerges as to why this has not yet been studied. Two explanations of why this has not been the case so far cover both the substantive environment and its inherent complexities, and the theoretical biases inherent in the most prevalent lens used to study these institutions, borrowed from a related but entirely different area of research, democratic decision-making. Based on these points, before value is added to this role, it is paramount to try and uncover whether the human element has any substantial impact in the shaping and ongoing functioning of multistakeholder institutions on par with structure, and my upcoming dissertation tackles this issue. Continue reading "Perspectives on Internet Governance: The case for the Human Element"
Perspectives on Internet Governance: (Why) Does Internet Governance Matter? By defining both internet and governance, this essay shows the imprecise and vague limits of the frequently-used technology policy term Internet Governance. It then explores the different subject areas that may fit in the broadest understanding of internet governance and the fundamental limitations of even such a broad understanding. Further, the essay explains the concept of multistakeholder governance, and, through historical and operational perspectives, answers the complex question of whether Internet Governance is multistakeholder, which is a claim regularly attached to any debate within the field. Finally, the essay culminates with the answer to the titular question by drawing a parallel to previous emerging technologies, their failure to reach a somewhat-mature governance ecosystem, and the potential for significant future benefit from the study of a hybrid governance environment such as the one currently in place for Internet governance. Continue reading "Perspectives on Internet Governance: (Why) Does Internet Governance Matter?" 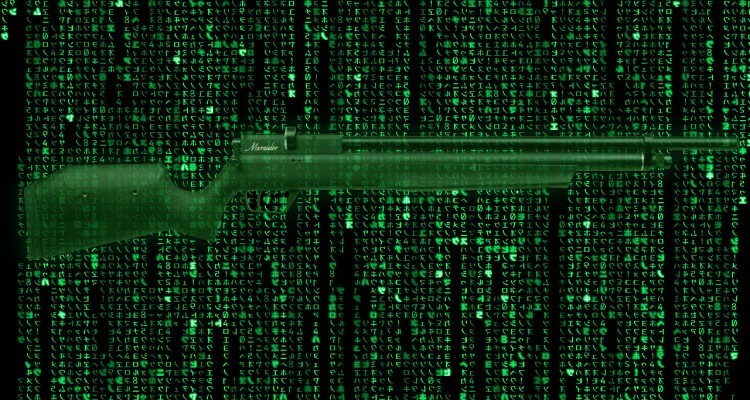 Continue reading "Bringing encryption to a gun fight (or vice-versa)"